Creating a new website or refreshing the old one can be a great experience for most companies. You must have planned to invest a certain amount and time to handle the project however, it might be difficult to know where to start with. By planning properly, you will be able to develop your site in an organized manner and thus, impress your prospective customers. 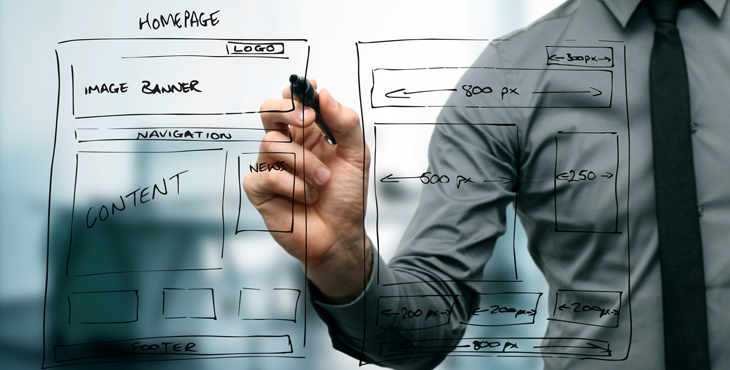 Read on to know 10 things and add them into the checklist for building your website portal. Know your objectives - Want to create a website for lead generation and get more customers? With an ecommerce website, you will be able to sell your products and services online. The objective is to create a portal for your customers and make huge profit from it. Look for your audience - It is important to know about your audience who will browse through your website daily. This will enable you to know their needs, expectations and the kind of people who will interact with you on the web portal to influence user interface and their functionality. Understand the functionality - You need to know about the functionality of your website. Is there any function that can improve your company growth or you need to combine together with various platforms to exchange date with different systems. The functionality of your website is the most important concern for the complete feel and look of your business portal. Content management system - How often do you update your website? If you have hired a non technical user who looks after your website, Content Management System or CMS will enable you to swap text, videos and images without proper codes. You have to decide what type of CMS will be suitable for your business, based on the exact requirement and estimated budget. Make website responsive - With huge number of users browsing the Internet with their smartphones and tablets, your website should be able to meet the demand of your online customers. This means that functionality, look and usability should be maintained to integrate for mobile devices. A website which is made responsive should respond automatically to browsers and provide better user experience. Search engine optimization - According to experts of a digital maketing agency India, if your website is entirely dependent on the customers, search engine optimization should be the major part of your marketing strategy. SEO is all about making changes and designing the website to ensure that search engines like Google and Yahoo find your website and rank on top for the most appropriate keywords. This can be done by optimizing your website content thus, ensuring site integrity and combining with other social media sites that will link back to your website. Social media - With more number of users on social networking sites, companies are creating their profiles on Facebook, Google+, Twitter and LinkedIn. This will provide innumerable options to create new network that can possibly help in generating more leads. Both content and messaging create a picture of your business’s culture and make better networking experience. Apart from the ones discussed above, your website content is what you will exactly need to win over your competitors, get more leads, boost sales and generate higher revenue. Write informative and unique content to drive more traffic to your website and rank your site higher in search engines.